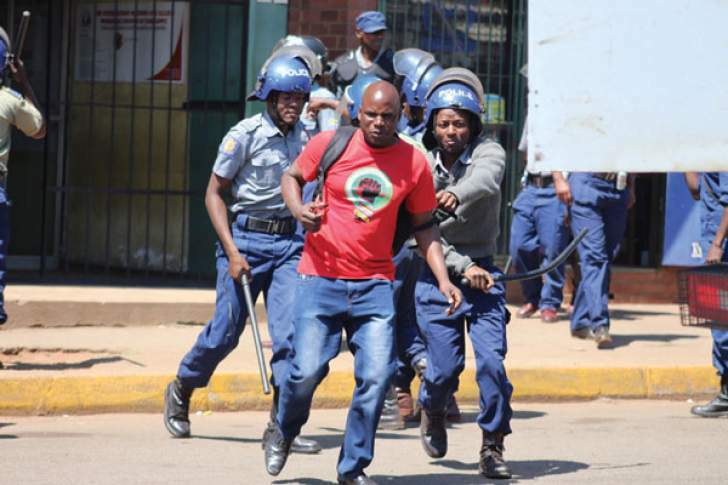 The protests last week called by the Zimbabwean Congress of Trade Unions (ZCTU) and other groups have been met by brutal repression with live ammunition and shutdowns of social media and the internet. Although hundreds are detained and others in hiding, peaceful protests are continuing this week, and violence from youth against the authorities is also predicted to continue. The impact of economic austerity for workers, including civil servants, contrasts with corruption and luxury for an elite, ( new concessions to foreign mining companies for access to foreign exchange), and commitment to paying back international loans first. Outside powers are unlikely to step up to support the government or to overtly condone its repressive strategies. But international condemnation still seems unlikely to lead to effective action as long as the negative effects are felt only by Zimbabweans. This AfricaFocus Bulletin contains the essay by Hopewell Chin´ono from January 17 and a statement from the Crisis in Zimbabwe Coalition from January 16. For additional analysis and more current news see the sources cited below in this editor´s note. Robert Mugabe was really bad because he didn’t listen to anyone unless under personal duress, and because of that terrible trait in him, it led to his spectacular and embarrassing undoing with the culmination of a military coup that was supported by the citizens and the rest of the world sealing his ungraceful demise. Everybody was just tired of the old man, and regardless of the unorthodox means used to remove him, it was a popular and celebrated end of a disastrous rule. However this was a thirty-seven year tumultuous relationship and journey between Robert Mugabe, the people of Zimbabwe and the rest of the world. His inconvenient and unintended successor and apprentice, Emmerson Mnangagwa, has only been in power for fourteen months, but he has perfected his former boss’s art of not listening and being oblivious to what the rest of the world thinks of his rule, good or bad. Mnangagwa inherited Mugabe’s Presidency at a time when everyone including those that never liked him were reluctantly willing to welcome Mugabe’s departure in exchange to the new political arrangement that involved the military generals, who later removed their uniforms and became part of the civilian political establishment. I was one of those Zimbabweans who pleaded with compatriots to allow the new order space and time to try and fix the economic and political mess that Mugabe had left behind him, a mess that had affected every citizen in one way or another. A mess that also unfortunately had been underpinned by Mugabe’s successors through, a very brutal and violent machinery that included the military and other state security services like the police and the Central Intelligence Organization. Many of us realized that there was no other alternative to the new arrangement until the people had an opportunity to choose who they really wanted to lead the country post Robert Mugabe’s misrule. I have never seen such unprecedented goodwill extended to a new regime that interestingly had been part of a past terrible, disastrous and incompetent political old order. Western ambassadors and their ministers like Catriona Laing and Rory Stewart of Britain and international business people piled their support behind Emmerson Mnangagwa’s government hoping that they would become the solution to Zimbabwe’s decades old misrule. When the American senators sponsoring ZIDERA 2 ([imbabwe Democracy and Economic Rocovery Act] came to town in April, I was one of many Zimbabweans who were invited by the American embassy to speak to the senators about the need to loosen the political pressure through removing unhelpful elements that were in the original ZIDERA 2 bill. The senators agreed to remove what many of us identified as re-engagement obstacles in the original bill, they told us that they were willing to wait and see whether President Mnangagwa’s government was genuine or not in its mantras and promises. What has followed is a historical fall from grace by our government, the very same men and women whom we had marched shoulder to shoulder with promising us that we were headed for greater times. In October, during earlier protests, the government arrested leaders of the Zimbabwe Congress of Trade Unions. The same people who had said that the past will never again be replicated in our soon to be glorious future, they have become the impediment to our progress, they have proved that Robert Mugabe alone was not the main problem at all. They have since done everything possible in the book and beyond to not be taken seriously by both the citizens that they rule, and the rest of the world that they wanted to reengage with. Today they have gone full circle in effortlessly achieving that unfortunate pariah status and nobody sane is now taking them seriously on their promises, because they have failed to even do the very things that do not require money or effort, like merely asking the state media to report in a non-divisive manner. They have allowed the state media to create a THEM and US narrative that is further dividing the country, the very thing that Mugabe did so excellently well has now been renewed, only that this time it is being done with embarrassing crudeness, scaffolded by a litany of lies, misinformation, misrepresentations, fear, threats and intimidation. Those that we thought had the President’s ear and were willing to see their man succeed from being part of a rogue Robert Mugabe government and past, to being the man that turned the corner and gave the country a fighting chance, are either not listened to or they exaggerated their influence, or the President actually does not have full control of the decision making processes. How else would you explain such spectacular political and economic disasters that have ensued post August 1 of 2018 up to this very today? How do you explain the harshness in shutting down the Internet and stopping citizens from talking to each other and blocking the world from interacting with the country and yet the President is abroad saying that Zimbabwe is open for business at the World Economic Forum in Davos in a couple of days? Robert Mugabe had dropped the bar so low that it takes monumental incompetence to fail to do just the bare minimum to appease a nation that had lost all hope resulting in those who could leave, actually flying away to other countries to seek greener pastures. As I write this article, compatriots in townships are being beaten up by the military and security services and about eight people have been confirmed dead, killed by their own government, the same government that is peddling democratic credentials abroad. This Word Economic Forum visit by the President comes at a time when we have civil service strikes, national shutdowns, general price hikes, a biting fuel crisis, gross incompetence in government, accentuated corruption and a lot of promises that we have been fed since November 2017 without even a distant hope of any fulfillment. How will our president explain his open for business mantra when the very same men that were part of Robert Mugabe’s administration from Chief Cabinet Secretary, Chief of Protocol, central Bank Governor to Spokesman surround him on his trip to Davos at the World Economic Forum and indeed in government? How can any citizen who thought of giving him the benefit of a doubt live with that self-evident act of arrogance of extending John Mangudya’s tenure as the central bank governor at the Reserve Bank of Zimbabwe, when his name is synonymous with the comical currency policy that pegs the Bond Note at par with the greenback and that has resulted in the current upheavals in the country? How can the rest of the world and businessmen like Aliko Dangote want to come and invest in Zimbabwe when the very same men who were asking him for bribes two years ago are still part and parcel of today’s Mnangagwa administration at both government and political party level, still oozing the same amount of power they had under Robert Mugabe or even more? How can any international finance institution take us seriously when no single person has been send to jail through what has now become a comical prosecution process nicknamed “Catch and Release” by the citizens? How can we take those people around the President and his Deputy seriously when at weekends and at night they harass his cabinet ministers with requests to have their wives, husbands, children, friends and relatives appointed to state enterprise parastatal boards? Is this not the same patronage system that underpinned Robert Mugabe’s disastrous rule that the current government used as an excuse to grab power on the back of citizen frustrations? How does the citizen become content and hopeful with a government that practices the same “blind eye” and “see no evil” behavior to bureaucrats that instruct investors to use certain service providers if they want their investment deals to go through without hassles? Today I had a chat with a Western ambassador of a very key country who told me that they have put out an investment note telling their citizens of this practice of being instructed to use certain banks, accounting firms, law firms, Architectural firms and employment agencies if investors want their deals to be smooth. This has made many of us realize that what we thought were patriotic individuals, were actual buccaneer political and business elites pushing personal enrichment agendas on the back of people’s anger against Robert Mugabe, and that Mugabe was not entirely responsible for the collapse of the state and the country, he was just the face of it. Our government must understand the relatedness of global capital and that banks in Russia, Rwanda, Egypt and indeed states like Belarus all do business with New York, the very same place that we are trying to avoid because we do not want to reform our economic, political and constitutional distortions that the very same President committed himself to undoing. There are many states like Rwanda that are not exactly the poster boys of democracy, however the difference between us and them is that they do not allow monumental levels of state embezzlement, corruption, gross incompetence and civil service inertia that our government still tolerates fourteen months since Mugabe’s departure. Zimbabwe’s brightest intellectuals, academics, professionals and global thinkers are today working for or with the Rwandese government. That is how committed President Paul Kagame is to meritocracy and advancing the economics of his country in his endeavors to transforming the lives of his people. Last week the Finance Minister Mthuli Ncube asked for more time, to do what when you are failing to do the very small things that will enable the people with deep pockets to come and rescue us through investment capital? If you want Zimbabwe to be a Rwanda, a country with little democracy underpinned by meritocracy, then hire competent people like what Kagame has been doing and continues to do, professionalize state institutions including parastatals and root out the self evident corruption. The government could have done all this without losing their grip on power, the fact that they have failed to do this exposes how incompetent and clueless they are to a world of ideas and many bright options. They are sticking to what they have done best in the past 38 years, corruption, patronage underpinned by crude intimidation, fear and violence. The only difference is that there is NO bogeyman called Robert Mugabe to hide behind, it is them that were his wind beneath his wings, it is them again who have gotten us into this political mess that is manifesting through economics. No Mr president, this time it will not work, the world has changed and with that change must come the realization that behaving as you did in 2000 means that you have lost nineteen years of our time. It can’t get any worse than this Mr President, if your real friends, surrogates, associates and subordinates are not telling you this Sir, they indeed hate you, they are only around you for the money that they are making through their association with yourself! Like the former President Robert Mugabe, you will realize how your phone will suddenly stop ringing Sir the day you lose power and the trappings of the Presidency. You still have a chance to turn things around by making the right and yet tough choices Sir, that option is entirely yours to take or not. But like the former President Mugabe, there will come a time when such a choice is no longer an option! 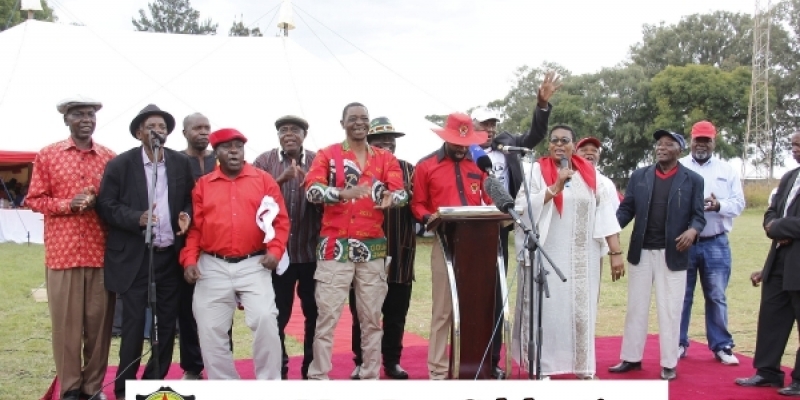 The Zimbabwe Congress of Trade Unions (ZCTU, http://zctu.co.zw) has been one of the organizations leading resistance to corruption and economic ´austerity´ programs that penalize ordinary Zimbabweans. We, as Civil Society Organisations from Zimbabwe under the banner of Crisis in Zimbabwe Coalition (CiZC) are encouraged by the AU High Level Consultation meeting of Heads of States and Governments on the situation in the Democratic Republic of Congo (DRC) to find a lasting solution to the post-election developments. As your Excellencies are discussing the DRC situation, we exhort you to take time to reflect on the fast deteriorating humanitarian and human rights situation in Zimbabwe following the call for a peaceful national stay-away from the 14th-16th of January 2019 in response to the social and economic deterioration. SADC community together with global players must institute discussions on Zimbabwe to address the deteriorating political and economic situation. Blackout on access to information through the suspension of internet services and restricted telephone communication across Zimbabwe, from Tuesday 15 January to date. Zimbabweans conduct their daily financial transactions on mobile platforms due to the chronic cash shortages and these online payment platforms have been disrupted. The unconstitutional deployment of the military forces in the country has resulted in use of live ammunition, wanton assaults, unlawful entering and breaking into people’s homes reminiscent of the extra judicial killings of 1st of August 2018. Reports of arbitrary arrests, unlawful detentions and abductions of unarmed civilians and civil society leaders, including children below the age of 16 years. 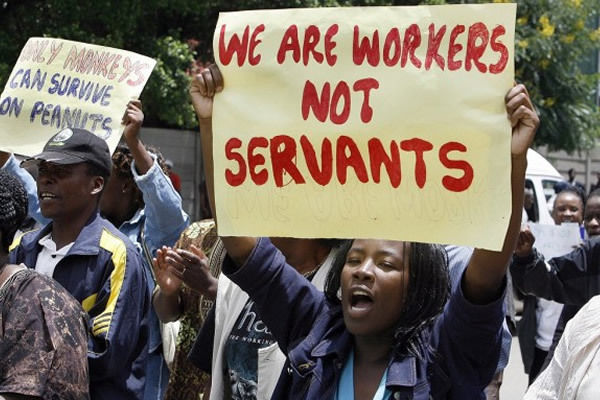 Multiple threats and intimidation by government officials against trade unions, civil society leaders and ordinary Zimbabweans are continuing unabated. Hundreds of innocent civilians have sustained different injuries consistent with gunshot wounds and are failing to access health care facilities. The right to freedom of movement has been restricted affecting the ability of ordinary Zimbabweans to sustain their livelihoods. This might result in regional instability as Zimbabweans seek food, shelter and refugee in neighbouring countries. Restore civil liberties of people.